Why buy older hardware when newer revision is available? H&T start the new year with Arduino Uno R3 and Arduino Ethernet Shield SD R3. 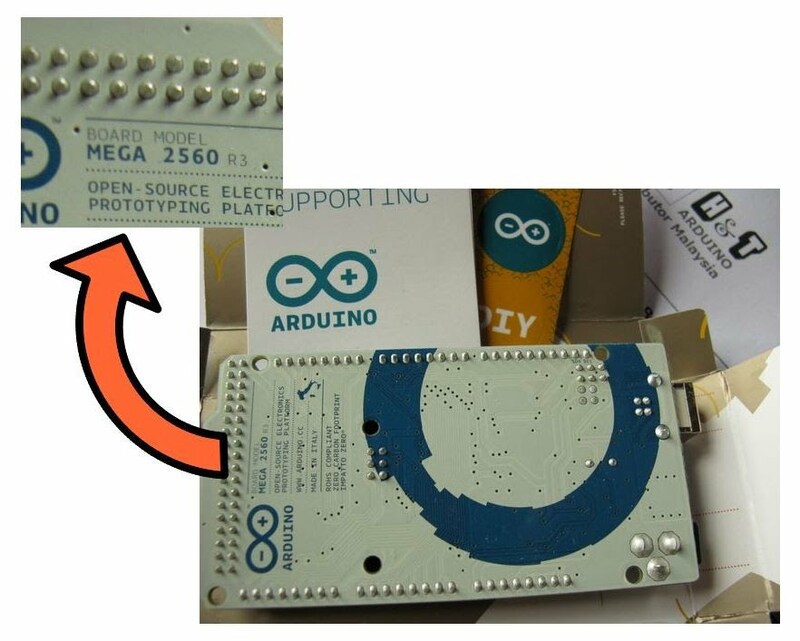 Finally now we have Arduino Mega 2560 R3. Mega 2560 has always been a favourite among student and professional who like the extra I/O as well as the many serial connection ports and choices. Be it Serial TTL, I2C or SPI. Note that with the R3 revision, Mega 2560 and Uno now share the same shield pin for I2C. The SDA and SCL pin located the USB port. Refer to Arduino R3 and Shield in Malaysian Shore article for more info. This means shields following R3 revision can take advantage and be standardized to tap I2C serial communication. Be it for Mega 2560 R3 or Uno R3. As it is in the old revision, Mega and Uno I2C pin are located differently in the shield pin out! 1. The R3 revision is compatible with existing (older revision) shield. 2. The R3 revision will take advantage of shield following R3 revision. I guess, the answer is no reason! ;D but perhaps due to some shop doing stock clearance! Anyway, the bellow picture help in identifying Mega 2560 R3. *Notes : As official distributor, it is H&T obligation to spread words about R3. In the hope of faster adoption among Malaysian electronic homebrewing community. Moving forward, all H&T Arduino stock are R3 revision.